The steady decline in mobile web usage has made it essential for enterprises to launch mobile applications. But a number of studies have highlighted that a large percentage of users delete mobile apps after downloading them from the app store due to their poor quality and user experience. So each business needs to explore ways to optimize the Mobile application’s functionality and performance to make it popular and profitable. Most businesses nowadays deploy seasoned QA professionals to assess the mobile app’s look, feel, functionality, performance, and user experience thoroughly. 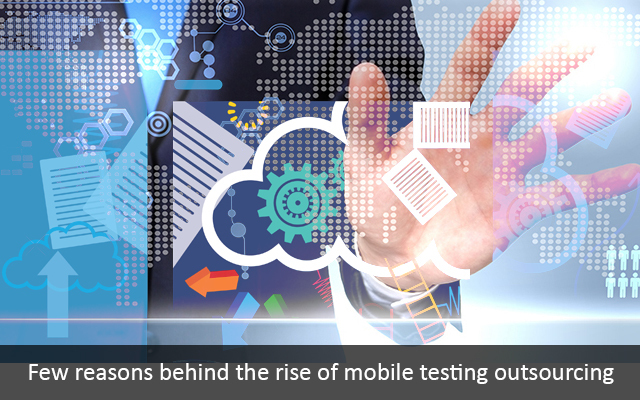 There are also a number of reasons why many businesses are making and implementing comprehensive mobile testing plans. While planning mobile apps, most businesses nowadays target several popular mobile operating systems like Android, iOS and Windows Phone. There are also a number of advanced tools that enable developers to create the same application for different platforms using a single code base. But the businesses still need to ensure that the mobile app deliver quality user experience regardless of the mobile operating system. The QA professionals test the app thoroughly on each platform, and identify the flaws affecting the application’s performance. While planning a mobile app, businesses also need to target a wide variety of devices powered by the same mobile operating system. For instance, each business wants its iOS app to run on iPhone, iPad and iPod Touch. Likewise, it has to target various models of smartphones, tablets and phablets while planning Android apps. But the screen size, resolution and other hardware characteristics of individual devices differ. So the business needs to ensure that the app delivers quality user experience across many devices. The QA professionals have to assess the app’s look, feel, performance and functionality across multiple devices to make the users access the app regularly. Apple, Google and Microsoft update their respective mobile operating systems at regular intervals. Each updated version of the mobile platform comes with several new features and performance improvements to deliver richer user experience. Thus, the mobile app scenario is transformed each time a mobile operating system is updated. The users further expect the mobile app to take advantage of the new features included in the most recent version of the operating system. So the testers have to assess the impact of changes made to the code to ensure that the app functions flawlessly on the latest version of the mobile platform. The most recent version of iOS and Android enable users to identify the mobile apps that affect the device’s battery life and consume more memory resources. The features make it easier for users to identify and uninstall the resource-hungry apps. So the businesses need to ensure that their apps do not consume additional memory resources. But the amount of resources consumed by the application will vary from one device to another. So the QA professionals must monitor the application’s performance across a variety of device to ensure that they do not consume extra battery and memory resources. To make a mobile app popular, each enterprise has to focus on its user interface (UI) and user experience (UX). Recently Apple enables users to accomplish tasks through 3D touch on iPhone 6 and iPad Pro. Likewise, the users also have option to use a stylus and an improved keyboard while using iPad Pro. So the businesses must create mobile UIs that take advantage of these new features. Likewise, they also need to ensure that the mobile app delivers quality UX on each device and operating system. 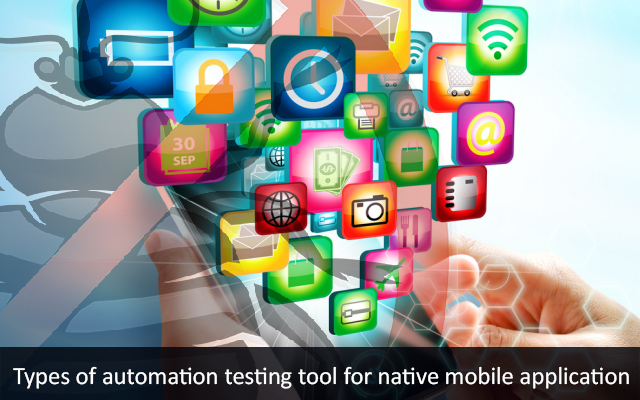 So it becomes essential for businesses to deploy experienced testers to assess the application’s UI and UX thoroughly. The test results will also help them to launch apps with optimized UI and UX. Unlike conventional software applications, the mobile apps are used in a wide variety of environments. For instance, a person may access the mobile apps with a number of data networks including 3G, 4G and Wi-Fi. So the testers need to assess the performance of the application with slow, fast and no internet connection. Likewise, they need to assess if the app can identify the exact location of the users and deliver more localized information. While making a mobile testing strategy, managers clearly mention the environments and conditions under which the app’s performance needs to be tested. Thus, the QA professionals can test the app’s performance under various environments and the bottlenecks affecting its performance in each environment. 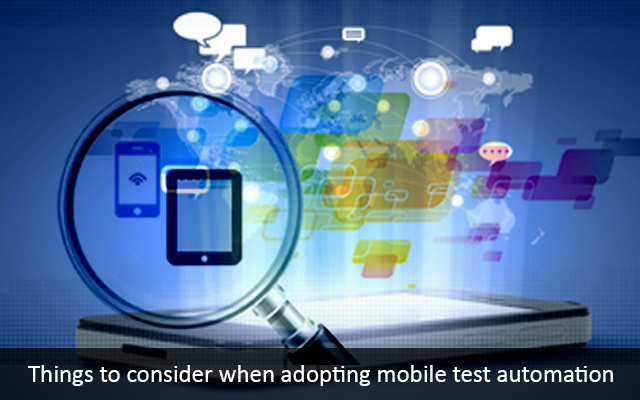 The QA professionals need to perform a variety of tests to assess the quality of mobile apps accurately. 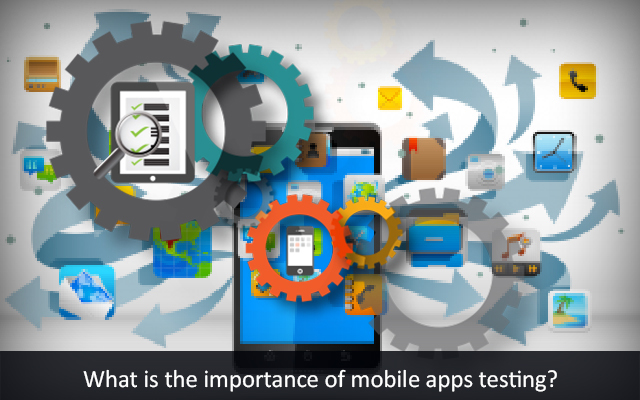 That is why; most businesses invest in mobile app testing tools to get more accurate test results. Many enterprises even opt for cloud-based testing to complete all required tests within a shorter amount of time. However, they also perform certain tests manually to assess the user experience delivered by the mobile app effectively. This entry was posted in mobile app testing, Uncategorized and tagged expert mobile app testers, experts in software testing, hire mobile app testers, mobile app testing, mobile application testing, mobile test automation, mobile testing company, mobile testing services, software testing company India, software testing service, software testing team india, software testing tools, software testing types.